Despite the emphasis on struggle, Gossamer couldn’t sound more assured. 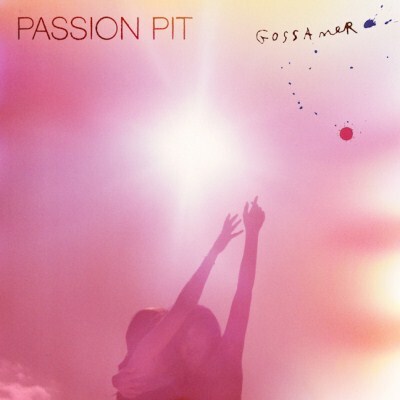 On Gossamer, Passion Pit recast themselves as polyglots and pacesetters, tackling the currency of pop music head-on as a competitor rather than admiring it with a few well-placed press quotes. 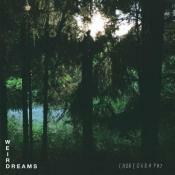 With sharp melodies and exhaustively personal lyrics, Passion Pit continue to stay a step ahead of the synthpop horde. The result sees Passion Pit delivering a record which finally resonates as meaningful personal statement, whilst retaining their hallmark overactive pop-playgroud sound. It's comfortable and enjoyable rather than challenging and seductive, doing what it intended to, what was expected of it, but nothing more. Each song on Gossamer is a dance party staple for those paper lantern occasions that you only realize the significance of years later. It is a modern pop record to be cherished. This album represents what all artists strive for—a complete and intensive examination of themselves through music. In areas that lack hooks, Angelakos shreds his heart to pieces, and in moments that feel sappy, Angelakos jumps off the bench. This isn’t exactly a sophomore slump, but it is a jumbled mess. As objectively as possible, then, let it be said that between Gossamer and its much-beloved predecessor, Manners, Gossamer is the better record. Once a record that I would put on in the background for "the vibes", the past five years without Gossamer has resulted in my return providing me with a new found appreciation for it. Often times either compelling and joyous, Passion Pit instills a real depth to his work even if the second half dips a bit with some rudimentary and/or undeveloped compositions. Damn, what a knockout. This is confident, immaculate pop music; personal and emotionally dense storytelling to compliment Passion Pit's most lush, vibrant and energetic project yet. Tracks: "Take a Walk", "I'll Be Alright", "Constant Conversations", "Mirrored Sea", "Cry Like a Ghost", "Two Veils to Hide My Face", "It's Not My Fault, I'm Happy"
Purchasing Gossamer from Amazon helps support Album of the Year. Or consider a donation? New Track: Passion Pit - "I'm Perfect"